A bright bouquet to welcome the new baby boy! 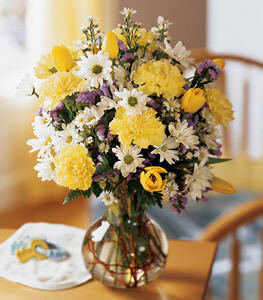 Yellow tulips, yellow carnations, and white daisy pompons bid a cheery hello to the new addition. Its sure to delight the proud parents, too.